Autodesk is investing in education. Autodesk is committed to equipping you with tools and resources to help you achieve academic and future career success. Access the same design software and creativity apps used by industry leaders worldwide, and start to imagine, design and create a better world. Each of the above winners earns an invitation to VEX Worlds 2018 if part of a registered VIQC, VRC, or VEX U team. Congratulations everyone!!! Your entries these season were absolutely amazing, and you should be very proud of your work. We hope to see ALL of you entering again next season, and wish you the very best of luck and skill! Don’t forget: All participants with eligible entries will be rewarded with a certificate for your portfolio and membership points in the Autodesk Education Expert Network, which allows you to showcase your work with industry professionals, among other benefits. Have you ever wanted a particular component for your robot that was not included in the kit of parts? Do you want to design and make something unique that sets you apart from your peers? Then the “Make It Real CAD Engineering Challenge” is for you! Autodesk is sponsoring this challenge and giving you a chance to focus your passion for CAD and apply your skills to solve a real world design issue. In this challenge, you will use the same Autodesk 3D design software used by professionals to conceptualize and model a new part for a robot that improves its functionality or overcomes an existing problem. The new part must be designed to fit an existing robot, and may consist of multiple pieces that form one part design. The robot may be a competition robot (VEX, FIRST, BEST, PLTW, SkillsUSA, TSA, etc.) or another robot that performs an interesting task. To make it even more exciting, you will also have the option to compete for a “bonus prize” by 3D printing your custom part! Note that your 3D printed part from this online challenge may be used in the VEX U competition, but not in VRC or VIQC. To help you succeed, access to Autodesk software is available at no charge to students. In the Make It Real CAD Engineering Challenge, you must use either Autodesk® Fusion 360™, Autodesk® Inventor®, or Tinkercad™ to model your custom robot part. Whether you’ve used the software before or are brand new to CAD, the Autodesk Design Academy provides lessons and video tutorials for all skill levels. To get started, carefully read the complete challenge requirements on this page. Then visit the Autodesk Design Academy challenge page to download software, watch tutorials and learn how to create custom parts. When you’re ready, return to this page to submit your entry. The future is yours to design, and we can’t wait to see how you change the world! 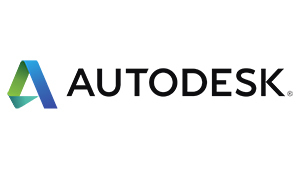 All participants with eligible entries will be rewarded with a certificate for your portfolio and membership points in the Autodesk Education Expert Network, which allows you to showcase your work with industry professionals, among other benefits. There are four total prizes for this Online Challenge, plus the Bonus Prize. One prize will be awarded to the top scoring entry in each of four divisions – Elementary School, Middle School, High School, and College/University. Each of these top scoring teams will also receive automatic team qualification for this season's VEX Robotics World Championship! If there are no entries in any division, then a prize will not be awarded for that division. Additionally, one “bonus prize” will be awarded to the best entry that uses a 3D printer to make the part that they have designed, and that also meets all of the requirements of this challenge. It is not necessary to be selected for the first, second or third prizes in order to qualify for the bonus prize. If you do not have access to a 3D printer, you may send your file to Shapeways or Sculpteo, or identify another local source that can provide this service, generally for a small fee (not reimbursed by Autodesk, VEX Robotics, or the REC Foundation). Each winner will be awarded only the prize(s) for which that winner was selected, as described above, and must sign the winner’s declaration form in order to receive sponsor prizes (3D printers and drone quadcopter only). Entrant age range: Age 8-24 years old, must be a registered student or homeschooler. VEX Robotics Competition team requirement: Does not have to be a team entry. Designs submitted in previous Online Challenges are not eligible for submission. Only one entry is permitted by the same team. However, each team in a multi-team school or club program may submit an entry. For example, teams 123A and 123B could each submit an entry, but team 123A could not submit two entries. These are the minimum requirements for this challenge. The “Judging Information” section below will provide additional guidance on how your project will be judged. Failure to fulfill any of these requirements may result in your entry being disqualified from advancing to Finalist or Winner status. You must use Autodesk Fusion 360, Inventor and/or Tinkercad to design the new part. Quickly get up to speed with learning resources provided for this challenge on the Autodesk Design Academy – learn to model YOUR way, from parametric, direct, to free form modeling. Visit https://academy.autodesk.com/vex-challenge. Show how this new part will be utilized by a complete robot. Note: you do not have to design the complete robot, just the custom part itself. Brief introduction: Identify why you created the part – what functionality are you improving or what issue are you solving? Explanation of how the new part would be used and how it fits into a complete robot design. Note: you do not have to design the complete robot, just the custom part itself. Explanation of how you used Fusion 360, Inventor and/or Tinkercad to create your new part AND clearly state the version of software you used. Brief conclusion: What did you learn from this project? Will you use 3D design software in the future? If so, what for? How does this software help you if you are on a competitive robotics team? Will learning 3D design software help you in your career path? If so, how? One (1) final rendered image of your new part, or screen shot if using Tinkercad, LABELED with the software version you used to create it. REQUIRED FORMATS: we will accept JPEG, TIFF, BMP, PNG, and PDF only – all other formats are subject to disqualification. NOTE: you may render your Tinkercad designs using Fusion 360 as well. Optional: Additional images are highly encouraged, but not required. You may provide multiple angles of your new part, or an image of your complete robot design incorporating the new part, etc. Optional: you may also submit videos, animations, simulations, etc. to help explain your design decisions and illustrate how your part will be utilized. You must provide your CAD dataset at the time you post your submission. You must upload your dataset to the Online Challenges site. Links to Google Drive or Dropbox are not permitted and may result in disqualification. REQUIRED FORMATS: we will only accept the following formats – all other formats will be disqualified. Upload the Final Report document and all supporting imagery, and datasets directly to this online challenge site (maximum file size: 200MB) during the submission process. Google Drive or Dropbox links are not permitted. Previous online challenge entries are not allowed. If you do not have access to a 3D printer, you may send your file to Shapeways or Sculpteo, or identify another local source that can provide this service, generally for a small fee (not reimbursed by Autodesk, VEX Robotics, or the REC Foundation). A photo of your 3D print (we want to see the physical object, not the digital rendering). REQUIRED FORMATS: we will accept JPEG, TIFF, BMP, PNG, and PDF only – all other formats may not be eligible for the bonus prize. You must provide your .stl file at the time you post your submission. You must upload your .stl file to the Online Challenges site. Links to Google Drive or Dropbox are not permitted and may result in disqualification. Optional: Additional images are encouraged, but not required. You may provide multiple angles of your 3D print, or an image of your actual robot incorporating the new 3D printed part, etc. Optional: you may also submit videos, animations, simulations, etc. showing your 3D printed part in action. Upload all Basic Requirements (Final Report document, imagery, datasets) and Bonus Prize Requirements (imagery and .stl file) directly to this online challenge site (maximum file size: 200MB) during the submission process. Click the green Enter Challenge button on the right side of the screen. Fill out the submission form, and type your text in the Full Description box according to the Requirements for this challenge. Click the blue Files/Images button in the upper right of the screen. Drag/Drop your Word doc or PDF report into the Upload a File box. Be sure to edit the Display Name and file information according to the Requirements for this challenge. Save your edits and click Update on the entry screen. Drag/Drop your photo file into the Upload a File box. Drag/Drop your files into the Upload a File box using only the formats outlined in the Requirements for this challenge. Click the blue Links/Videos button in the upper right of the screen. Type in the Link URL, Title and Description. Your submission will now show when you click the blue All Entries button to view the challenge entries. Judges will select ten or more finalists from the submitted entries and will take community voting results into account in making their choices. The finalist submissions will then be judged by additional selected professionals including Autodesk engineers whose scores will be combined with the preliminary-round judges’ scores to determine the winners of this challenge. All entrants will be judged for their Basic Requirements entry, and those who have submitted an entry for the Bonus Prize section of this challenge will also be judged for the additional bonus prize. New part design and function: How well does the new part meet the requirement of being useful in building robots? Does it improve functionality or solve the intended issue? Is the part design efficient, simple, and elegant? Does the design work show skill proficiency using Fusion, Inventor and/or Tinkercad? Is the software version clearly identified? Written description: Judged on clarity, thoroughness, design process and description of use. Overview images: Quality and thoroughness of the images. CAD datasets and 3D printed files: are only the required formats of .ipt, .iam, .f3d, or .stl used? © Robotics Education & Competition Foundation. 2015. All rights reserved.